A four-year-old lawsuit brought by a collection of environmentalist groups to close Sharp Park Golf Course – the 83-year-old public masterpiece of famed golf architect Alister MacKenzie – came to an end here Wednesday, March 25, when a 3-judge panel of the Ninth Circuit Court of Appeals dismissed the appeal in Wild Equity vs. City and County of San Francisco. Filed in March, 2011 by Wild Equity Institute, Center for Biological Diversity, Sierra Club, and other groups, the lawsuit sought an injunction to close the course based on allegations that golf operations kill frogs and snakes protected under the Federal Endangered Species Act. “We’re very pleased that the court of appeals’ decision will allow this historic public locale to continue to serve golfers of all means and levels in the Bay Area,” said Joseph Palmore, co-chair of Morrison & Foerster’s Appellate and Supreme Court Practice Group, who argued the case in the Ninth Circuit on behalf of San Francisco Public Golf Alliance, a non-profit coalition of local golfers working to preserve affordable golf for Bay Area residents. The group intervened in the case after the plaintiffs began their effort to close Sharp Park in 2011. Both the Golf Alliance and Morrison-Foerster have worked pro bono on the lengthy litigation. In December, 2012, U.S. District Court Judge Susan Illston dismissed the case, ruling that it was moot following an October, 2012 Biological Opinion and Incidental Take Statement from the U.S. Fish and Wildlife Service. The Service imposed strict protective terms and conditions on golf operations, but allowed “take” of a small number of frogs and snakes provided that the City complies with those terms and conditions. On appeal, San Francisco Deputy City Attorney Jim Emery said the question on appeal was academic: “was the case moot then [at the District Court] or is the case moot now”? “Moot squared” was how attorney Palmore characterized the case. 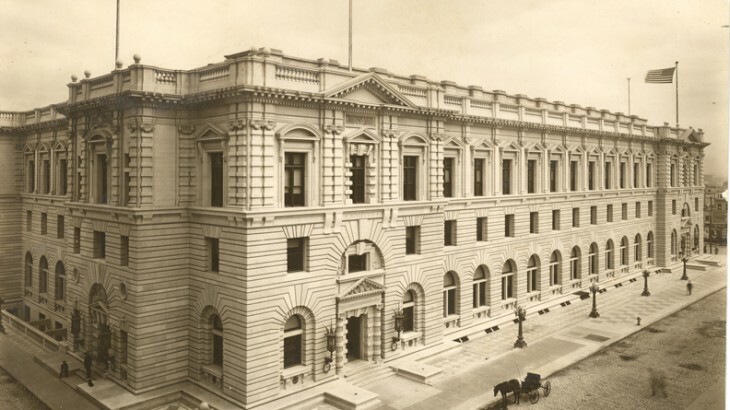 Court of Appeals Judges William Fletcher, Morgan Christen, and Andre Davis were unconvinced by the environmentalist groups’ attorney’s arguments that the case comes within a narrow “capable of repetition yet evading review” exception to the mootness doctrine. A video of the Court proceedings can be found at: https://www.youtube.com/watch?v=Ukp1m8IWl8o. Long known locally as “The Poor Man’s Pebble Beach,” Sharp Park is a San Francisco municipal course, located on Salada Beach, 10 miles south of San Francisco in the coastal suburb of Pacifica. It is recognized by Golfweek magazine as one of the 50 “Best Municipal Courses” in America. Its architect, Alister MacKenzie, designed several of the best-known and best-loved courses around the world, including Augusta National (home of the annual Masters Tournament) and the Cypress Point Club on the Monterey Peninsula.